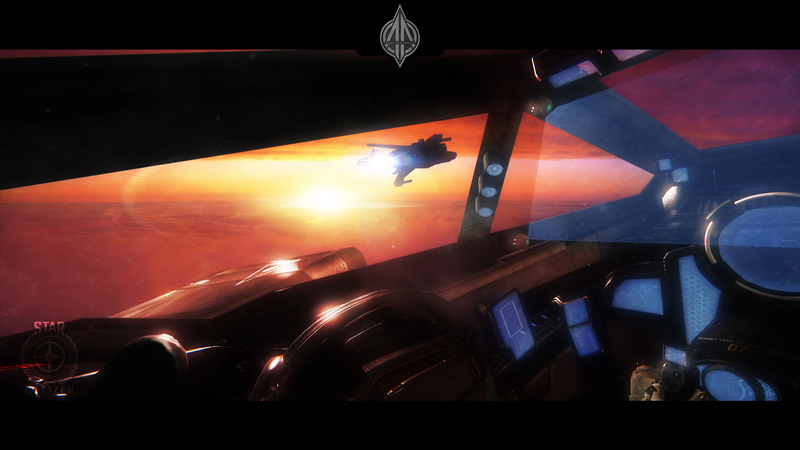 For the past few days my focus has been Star Citizen after taking some time away from gaming altogether. With Star Citizen’s 2.0 PTU just around the corner (here for a lucky group), I’ve been theorycrafting Hornet Loadouts for my F7C. I’ve spent a few hours figuring out what works and what doesn’t. 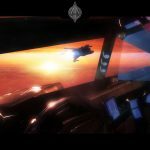 This guide is really written to wet the appetite of those looking for the information to get into re-arranging the loadout of their Hornet to make something functional (and perhaps other ships). It is not intended to analyze which loadout is the best and way. RELATED: Here’s a Star Citizen Ship Fitting Guide for Alpha 2.1. Certain weapons in Star Citizen share similar ballistics. That has been my focus – to create a weapon set and combination that shares the same ballistics. In this way, I can fire all of my weapons at the same time. I also prefer weapons that recharge instead of using ammunition. I am an endurance fighter, not a one-and-done. All of the shopping I did was in the Electronic Access store that uses the Rental Equipment Credits. All links to equipment referenced in this post will be to the respective page in the Electronic Access store. Obviously, I went with the CF-117 Badger Repeater, which come mounted to the F7C’s wings. These are a size 2 weapon. 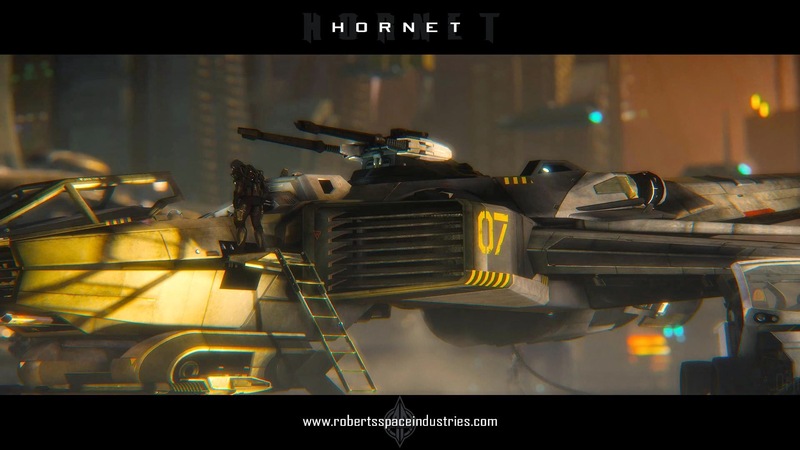 The hardpoints on the wings of the Hornet is a size 3. However the gimballed weapon mount that comes with the F7C is a size 3 gimbal mount, meaning it can fit size 2 weapons. Gimbals always convert the hardpoint to the next size down. A size 3 gimbal mounts a size 2 weapon and a size 2 gimbal mounts a size 1 weapon. There isn’t currently a size 4 gimbal available for sale. Mount a size 3 weapon and have it fixed. I’d have to align the ship in order to aim the weapon. Not very practical. Mount a size 3 gimbal and then mount a size 2 weapon to the gimbal. Mount a CF-117 Badger Repeater to the gimbal. Mount the N4-160f Turret and turn the single size 3 mount into two size 1 mounts. Mount two CF-007 Bulldog Repeaters to the N4-160f Turret. Option #1 is definitely out so let’s look at option’s 2 and 3. The weapon choice for #2 is another Badger, which I had in inventory. (Thanks referrals!) The Badger has a damage output of 29 energy damage per shot at 500 shots per minute. The Bulldog has a damage output of 17 energy damage per shot at 550 shots per minute. Two Bulldogs do 311 damage per second ignoring overheats and power constraints and roughly 204 damage per second when power constraints are considered. Badgers do 241 damage per second before heat or power constraints and 130 damage per second after power constraints are considered. Take into consideration the extra heat generated by firing the second weapon plus the added weight that reduces maneuverability and option 2 wins in my book. 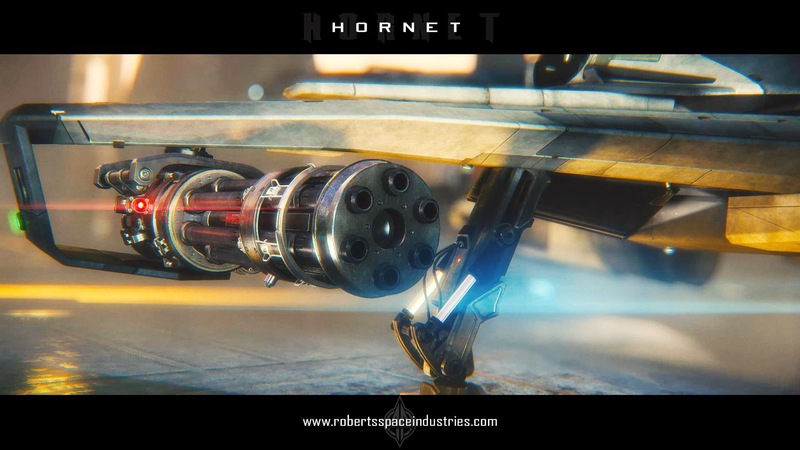 There is a way to mount another weapon to the Hornet. The Hornet Flashfire Specialty Mount replaces the Stor-All-Box in the Hornet with a single size 4 fixed weapon mount. Currently the only size 4 weapon available for sale is the C-788 “Combine” Ballistic Cannon. 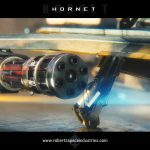 This option provides a fixed weapon that requires the Hornet to be lined up with the target in order to fire accurately. While this is less-than-ideal, it adds a powerful weapon system that makes any head-on engagements against me suicide for the aggressor. 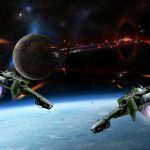 It is also useful for finishing shots against a target whose propulsion has been disabled and for fixed targets such as turrets onboard a station or larger ship in the future. Remember to fit the ammo to the weapon once it is mounted! For those of us that have the luxury of a SuperHornet in our hangar, the ball turret can be transplanted to the F7C to provide 2x size 2 gimbaled mounts. That is, fit two more size 2 weapons to gimbals. This would be highly preferable over a fixed weapon, but not everyone has a SuperHornet in their hangar. INK-Mark 404-ID – Provide protection against direct damage such as from lasers or ballistics. Basically anything non-explosive. However it takes MORE damage from explosive weapons. INK-Splash 404-IS – Provide protection against explosives such as missiles and rockets. 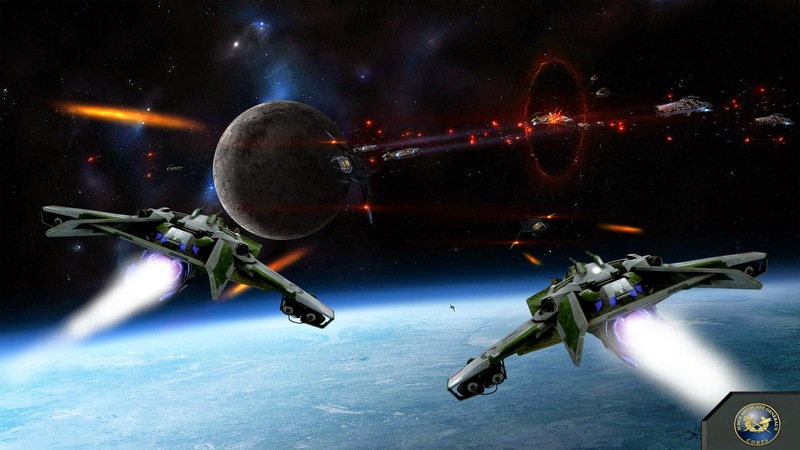 However it takes MORE damage from direct-fire weapons such as lasers or ballistics. I went with the INK-Mark 404-ID to protect against weapons. My thought on this is that I can’t dodge lasers and bullets as well as I can evade missiles and rockets. I actually have a system to mitigate the effectiveness of missiles – the counter measures (chaff and flare). If you are having a hard time mastering dodging or evading missiles, then you might want to stick with the standard shield. I’d highly advise against the INK-Splash 404-IS because you cannot dodge the direct-fire weapons easily or reliably and you’ll take bonus damage from those weapons! Since I’ve chosen a set of weapons that don’t match ballistics 100%, I’m prefering to segregate them into weapon groups that share the same ballistics. That is the Bulldogs and Badgers in one weapon group and the Combine in its own. This way I can choose which group to fire, situation dictating, and fire away. I’ve found a workaround. If you assign weapons to all three weapon groups, you can then assign weapons to groups 1 and 2 like intended (meaning, the HUD GUI works correctly showing what’s assigned and what’s not). It doesn’t seem to matter what you assign to group three, but you have to assign something. After you get groups 1 and 2 set up, you can then unassign whatever’s in group 3 if you wish. So basically, just populate weapon group 3 with anything and then weapon group 1 and 2 become fully configurable. Ultimately, weapon groups are bugged and they are not permanent. You’ll have to rearrange every time your ship spawns. Hopefully this will be fixed soon! And even more: hopefully they will be configurable in the hangar! There are other options. A popular one right now replaces the Bulldog and Badger with the Omnisky-III and Omnisky-IV, respectively. This fitting increases the weapon range by 50% but reduces rate of fire by 66%. Energy consumption is also lower using the Omnisky series of weapons but they are also a lot more expensive than the Badger and Bulldogs. Similar performance can be expected out of the M3A and M4A laser cannons. For an ammunition-based approach to this build, opting for the 9-Series Longsword and 11-Series Broadsword brings more damage to the table compared to the Bulldog and Badger option at the same range with nearly zero energy cost. However with less than half the rate of fire of the Bulldog and Badger the damage per second is roughly the same. Plus you’d have to worry about ammo consumption. Neutron cannons are next to useless right now. Wait until they are revamped, hopefully soon! Thanks to Malagos and Cooper Hawkes for your constructive criticism and up-to-date game data!